Carol Doak Mariner's Compass Star block done! After several ill-fated attempts at a Mariner's Compass block using one book, I finally called it a day on that one and pulled off the shelf one of my beloved Carol Doak books. Mind you, I've never actually made a Carol Doak block before. But between what I had purchased myself and what I'd inherited from my Mom, I'd guess I probably have most of what Doak has published over the years. I own and use her DVD on paper piecing quite frequently. Her directions are so clear and straightforward, she doesn't leave anything to guesswork. So when I couldn't make it work with the other designer, I decided to give Carol Doak a shot, and it worked. This was so much easier! First, she did the math for me. Always a plus in my book. Rather than having to try to expand a smaller design to get the size block I needed, Doak's designs happened to be the right size already. Doak also gives cutting lists for each of her designs, so I didn't have to try to figure out what size fabric piece would cover the needed space. Third, her compass blocks are done in square quarters rather than the traditional circles, which just make them easier to handle. This isn't quite a traditional Mariner's Compass block, which is why I refer to it as a "compass-esque" block. Still, I was able to use the same fabrics I'd intended to use the first time around and get pretty much the same effect, so I'm a happy camper. Isn't that Stonehenge line just absolutely gorgeous? I'm in serious love. 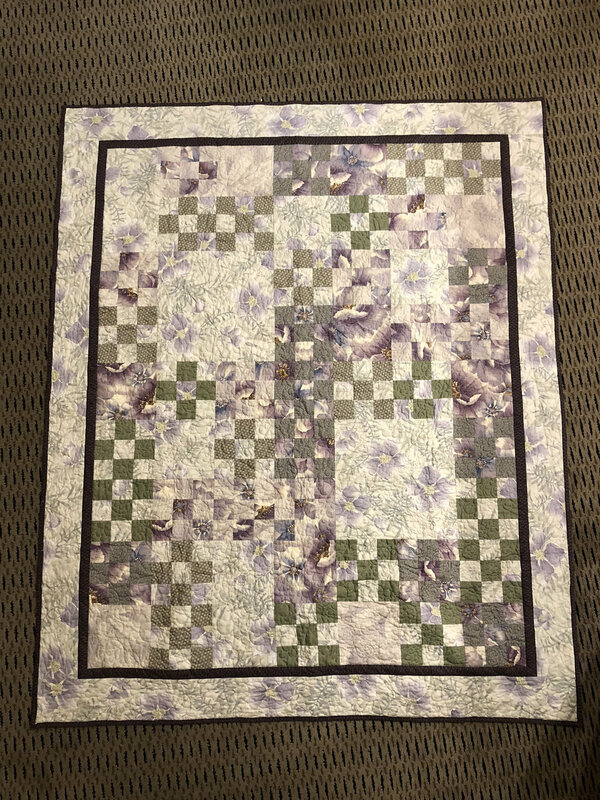 Now, by my next guild meeting next Tuesday night I really should have two more borders done. Maybe three. I forget how many, I'm so far behind now. 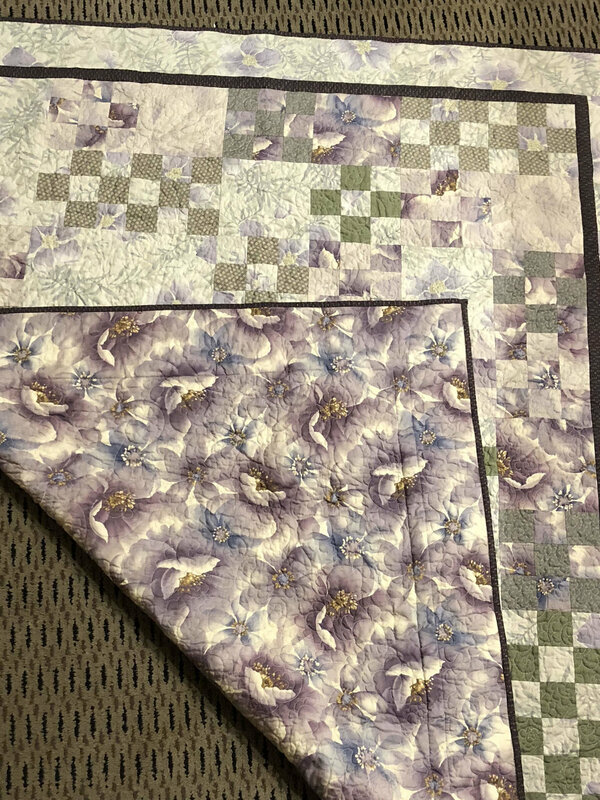 The first border is supposed to be pieced. 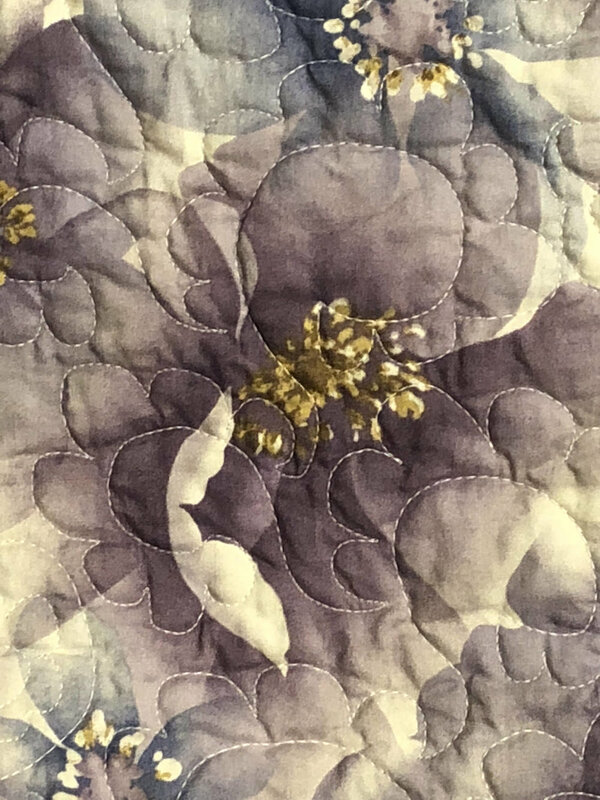 My original thoughts were a very complicated applique but the center block turned into such a saga I'm thinking I'm going to cut myself a whole lot of slack and do something much simpler. But that's a problem for tomorrow. BTW, the picture makes the light green in the center look a little more neon than it does in real life. Everything blends better than it looks like it does. 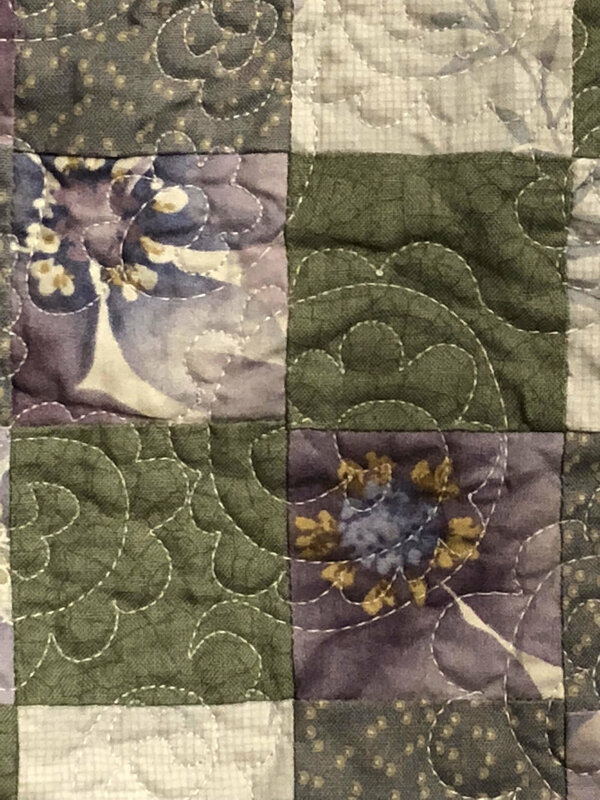 The darker green on the other half of the center also has splotches of purple in it so it really pulls everything together. Mmmm. Stonehenge. Yum. And just because I could.... I had to make a stop at a quilt shop yesterday and they had these stacks of gorgeous batik fat quarters, so I picked out a bunch in teals, aquas, greens, & turquoises, and paired them with blacks and grays. I'm thinking maybe disappearing nine-patch, but don't hold me to that. Right now they're just seducing me from their stack on the cutting table. So all that's to say, I've decided I'm sending Fortunate out to my long-arm quilter because I have too many other projects I want to get to! And also by the way, my sister and niece just came back from a mission trip to Ghana and she informed me tonight that she bought me fabric. Yay! Can't wait to see it! In "WIP", "fabric purchase", "http://www.blogger.com/img/blank.gif"